Yogananda described his work as a “church of all religions.” He made that statement because the path of yoga is universally applicable and can bring a direct spiritual experience to truth seekers of all faiths. The World Peace Gardens is our effort to honor the common “inward religion” that can be found in all faiths, and the unique perspective that each faith provides to its followers. We are not trying to do this by sharing each religion’s specific teaching, but rather through a series of gardens which honor the vibration of each faith. 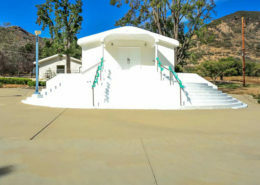 The World Peace Gardens are to be located on Triunfo Canyon Road, in Agoura, at what is presently the Sai Anantam Ashram. The Ashram was founded by the late Alice Coltrane, also known as Swamini Turyiasangitananda. 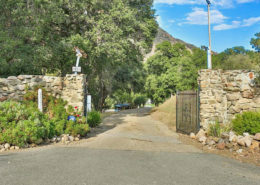 The property has been a spiritual sanctuary for over 20 years and has a wonderful spiritual vibration. 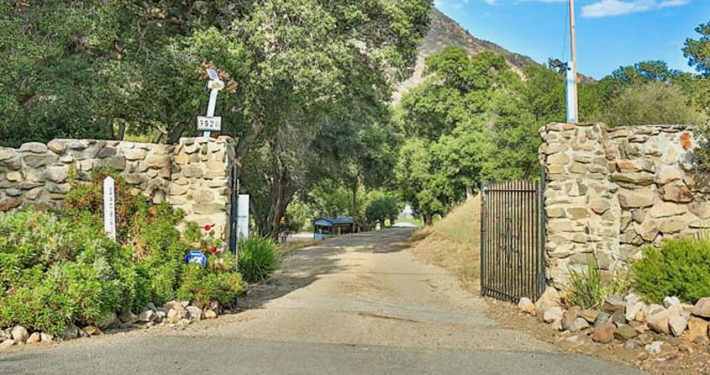 Located on approximately 46 acres, the land includes a lovely year-round creek, a temple, a bookstore, a large unfinished library, a duplex, a small home, and numerous mobile homes. (As nice as that sounds, it should also be noted that most of the buildings are in a state of disrepair.) Also on the land, because of its quiet location, are deer, rabbits, beautiful birds and other wildlife. The purpose of the World Peace Gardens is to create a lovely sanctuary for those seeking peace and inward reflection. The property lends itself to a series of gardens which we envision representing five of the major world religions plus one for those who are not of any particular faith. The intent of this concept is to allow people of any faith to find an area within the gardens with which they can readily identify. Unlike most gardens and arboretums, the purpose isn’t just to have lovely flowers and a natural setting, but rather to provide a place of sanctuary for prayer and inward reflection. At present the gardens that are planned include one for those who would like to do a walking meditation and affirmation, and gardens honoring the Hindu, Buddhist, Islamic, Judaic and Christian faiths. It is our goal that each of the five main gardens be designed and partially maintained by members of that faith. Other aspects of the World Peace Gardens will include a prayer wall where guests can list people or situations for which they request prayers, a lovely bookstore and statuary center, a cafe, library and museum, a meditation hall, and a small guest retreat facility. There will also be a large vegetable garden, orchard and greenhouse. The residents who live and serve at the World Peace Gardens will maintain a group yoga and meditation practice in which guests are invited to participate. We will also be offering classes in meditation and, on occasion, have special events. 2. Help creating a conceptual drawing of the property and individual gardens. If we are serious about our effort to develop spiritually, we must realize the great pull of the world to maintain a materialistic and unspiritual lifestyle. By living together in an uplifting and sattvic environment we enhance and support our effort for a more spiritually focused life. This is not mere wishful thinking. Spiritual communities do in fact provide an important lifestyle for the spiritual seeker. One need only look at the example of the numerous Yogananda inspired Ananda communities in California, Oregon, Washington and throughout the world, to bear witness to their success. The One World Communities, however, offer a significant difference. Whereas the Ananda communities are created specifically for the benefit of disciples of Paramhansa Yogananda, the One World Communities are intended for a broader group of truth seekers, seeking as the only common theme, the frequent practice of yoga and meditation and a serious longing for spiritual growth. When Yogananda first mentioned the idea of what he called ” World Brotherhood Colonies,” he said it would be a place where “high thinking and simple living” are predominant. Among the benefits of living at a One World Community include separate yoga and meditation rooms, daily yoga classes, optional group meals, a community garden, and community wide projects and special events. 2. Interest from those who may wish to be residents. Our vision for the Triunfo Health and Yoga Retreat is a facility that offers life changing health therapies, lifestyle education, and an understanding of how to apply the full spectrum of yogic principles to one’s life. The expected location for this retreat has already been developed as a retreat center and is somewhat turn-key ready. Located on 48 acres, the retreat property includes a club house, accommodations for 30, each with their own bathrooms, a large kitchen and dining hall, a tennis court, swimming pool and other amenities. 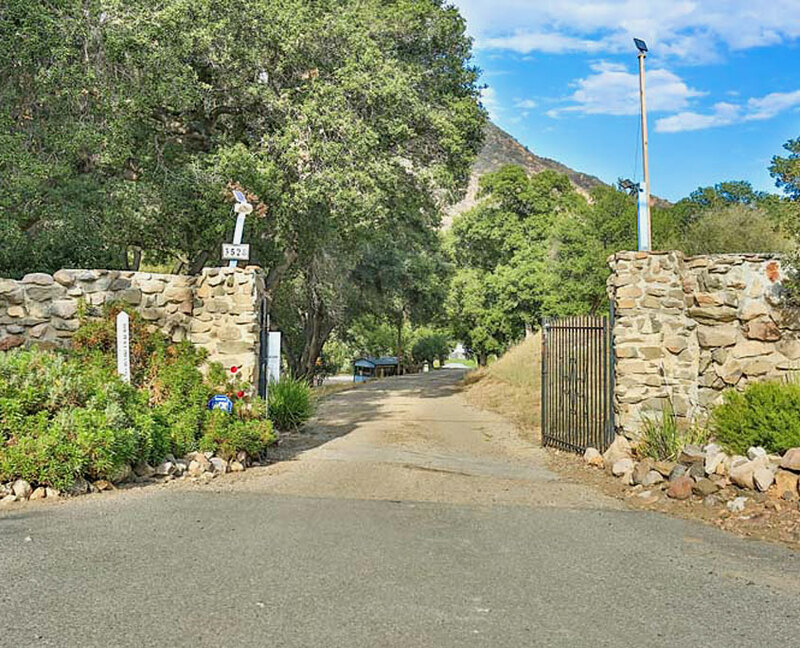 The year-round Triunfo Creek and beautiful large oak trees provide a natural setting. The Triunfo Health and Yoga Retreat will be under the direction of a licensed medical provider and be approved by numerous health insurance programs. Although open to all who seek a healthier lifestyle, many people coming to the retreat will be there with life-threatening or long term illnesses. Fundamental lifestyle principles proven to achieve optimum health will be in place to help meet their needs. Among the programs offered will be those to deal with such specific conditions as high blood pressure, stress and nervous disorders, diabetes, overweight, heart disease, immune system problems and high cholesterol. In creating this vision of health we take inspiration from such health care leaders as Dr. Brian Clement (Hippocrates Health Institute), Dr. Gabriel Cousens (Tree of Life Rejuvenation Center), Dr. Dean Ornish (Preventative Medicine Research Institute) and the Weimar Center of Health and Education, to name just a few. The practice and teachings of yoga and meditation will be a cornerstone of what is offered at the retreat, including an understanding of the various aspects of yoga and the means to develop practical, easy-to-use patterns to apply to one’s life. To be frank, what value is it to learn something that we then cannot use when we return to our every day life? The teachings of yoga can be applicable to every aspect of life – how we sleep, how we eat, how we problem-solve, how we interact with others and our environment, how we handle stress and the daily tests of life. The teachings are universally applicable and wonderfully effective when properly understood and put into practice. That being said, we know that everyone’s life is unique and needs to be understood in their own right. The goal of the Triunfo Health and Yoga Retreat is to provide these life enhancing tools and to do so in a loving, compassionate environment that honors the divinity and unique challenges of all who come our way. 1. Business investors interested in developing the retreat. 2. Medical practitioners to develop the health aspect of the retreat. 3. Yoga instructors and therapists to develop the yoga and meditation aspect of the retreat. You have probably heard the saying “And the children shall lead.” Well, they can’t lead unless they’ve been given the tools with which to do so. A proper education, which is to say, the education of the spirit of a child as well as academics, is a basic key for the success of our children and our future as well. We have not far to look to see the tragedies in which children find themselves, often due to a lack of understanding and appreciation of their True Self, and of the True Self hidden in everyone they meet. Through schools such as Education for Life, and other programs that teach consciousness development, children are provided with a valuable set of tools with which to approach the seemingly endless tests that are upon them. Education for Life (EFL) is a school system developed by Swami Kriyananda, a direct disciple of Paramhansa Yogananda. For those who have read Yogananda’s Autobiography of a Yogi, you may remember that, after becoming a Swami, one of the first projects he accomplished was to develop the Yogoda School that taught both yogic principles and general academics. These same principles have been developed through the Education for Life system as expressed in Swami Kriyananda’s book, Education for Life, as well as the Education for Life website and the numerous Education for Life schools. Education for Life (EFL) differs from traditional education in several key ways. Whereas the common trend is to teach entirely to the intellect and hope the rest of the child develops along the way, EFL actively cultivates development in the child’s feelings, will, and body as well as the intellect, resulting in the child growing up to be well-balanced and ready for life. EFL also strives to develop and raise the child’s consciousness, drawing out from within the child such qualities as compassion, patience, forgiveness, and self-discipline. These qualities are greatly needed in today’s world and will bring our children the deeper happiness that we are all seeking. With this style of education, both the inner and outer life of the child are nourished and supported, giving the child the opportunity to reach his or her full potential. Having witnessed my daughter’s experience at the Education for Life School at Ananda Village, I can personally attest to the effectiveness of these programs. Children learn to respect themselves and each other, seeing the Divinity in all. They learn to understand the difference between ego and Self, and they learn calming and centering techniques from an early age: in preschool they practice ‘Quiet Bodies’. When children are raised and educated in this way, they still have their challenges to work through, like all children, but learning how to work through these challenges forms a part of their education, rather than being a problem that detracts from their learning. The result is that the children have the capability, emotionally and intellectually, to apply themselves to the task at hand, and can achieve their personal best in their studies. It is our hope and expectation that Education for Life schools will be developed at numerous locations throughout Los Angeles County and elsewhere. The actual school system to be developed may in fact be a combination of a number of complementary systems including Education for Life, Montessori and Sathya Sai Baba’s “Teach Human Values.” The grade levels will depend on interest, but will probably start with elementary school and then junior high, and if possible, go through 12th grade. 1. Organizational assistance to develop the school and its curriculum. The life skills we hope to instill in young children through Education For Life schools are useful tools for anyone. They are of particular importance, however, for teenagers and young adults as they venture out on their own. This is especially true for those who have had a difficult upbringing, or whose parents and caregivers were unable to provide them with the support they needed as they transition into adulthood. One such group includes young adults who are aging out of the foster care program. For many of them, at the age of 18, their caregivers are no longer legally responsible for their care. In some cases this results in these young people being left without a home and without emotional and financial support. Many of them are unable to maintain themselves and end up on the streets or in trouble with the law. Some of these young adults find that the yoga and meditation practice, that they are only just learning for the first time, is an important experience that they would like to continue. Once they are back on the streets, or back home in their usual environment, however, the support to continue a practice of yoga and meditation does not exist. In our research we have seen transitional homes for young adults such as these. Though well intended, they often focus on only the minimum essential skills – stabilize the living situation, write a resume, interview for a job, get a job (any job), and stay out of trouble. Life, however, demands so much more. Seva House proposes to provide a long term program that allows these young adults the opportunity to develop a much broader group of skills so necessary for a successful future. In addition to room and board, we would endeavor to provide educational and job skill training, training in all aspects of yoga and meditation, interpersonal skill development, relationship counseling, financial education, confidence building and problem solving skills. As a nonprofit organization, Seva House expects to include other projects as part of the fullness of its services. These may include day programs for women in need and veterans suffering from post traumatic stress disorder, a food pantry, a thrift store and other services to support the local community. A possible site for Seva House turns out to be next door to the proposed World Peace Gardens on a 22 acre parcel that years ago used to be a group house. Now called Villa Triunfo the property includes about 9 buildings and 9 bedrooms and would be suitable for development of such a project. 1. Individuals and other organizations interested in helping to develop this project. The inspiration for Prayer Mountain came during a health crisis that I had some years ago. While waiting for a CT scan, and completely unsure of my fate, I asked myself, “What was the one experience that seemed important to have if I were to die fairly soon?” The answer came that I wanted, at least once more, to meditate on the horizon. Although I live in Nevada City, California as of this writing, as you may have concluded, I have a strong interest in moving to Los Angeles and presently go there about twice a year. When there, one of my most meaningful experiences is to meditate at the beach or in the Santa Monica Mountain Range, looking long and steadily at the horizon. That method of meditation was suggested by my guru, Paramhansa Yogananda. When I travel, and even at Ananda Village, where I live, I enjoy climbing to high places and looking out at the vastness of the earth below. I think our soul loves that sense of freedom, the confirmation that it is not this little person in a body that lives in a small house on a small plot of land, but is something much greater, much more expansive. Personal reasons aside, Prayer Mountain is meant for two primary purposes. First is to provide others that same expansive view and uplifting experience that I myself often seek. If I seek it, I know that others do as well. Second is to create a pilgrimage spot for those seeking a place for prayer, meditation and healing. Pilgrimage is a very important and useful form of worship. Yogananda said that “Environment is stronger then will power.” Through the ages, certain places have been magnetized by the spiritual effort of others and the blessing of saints. Those who visit such places are uplifted by this past effort, which is imbued not only by the prayerful effort of individuals, but also and more importantly, by Spirit’s response. With God’s blessing, may we not just take from these holy places, but also give of our love and devotion as well. The exact location for Prayer Mountain has not at this time been found. 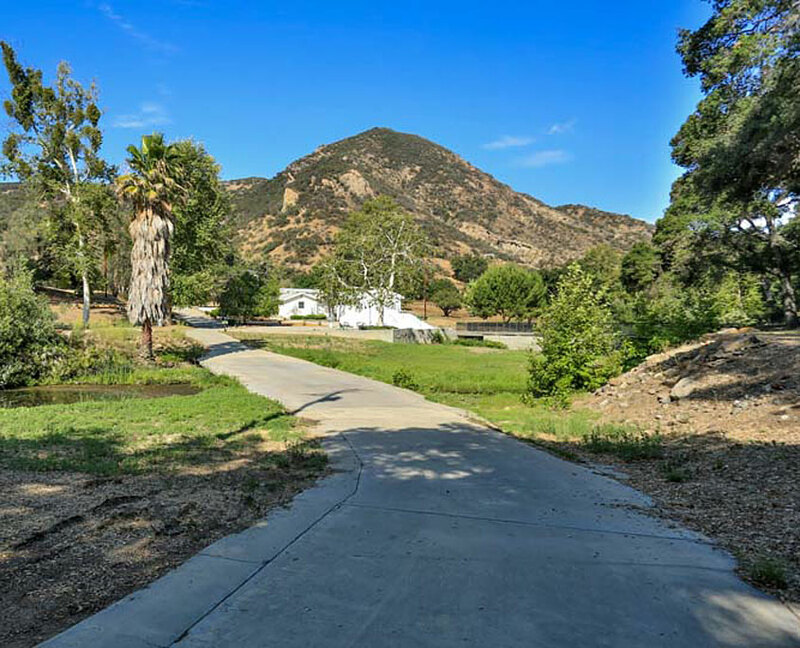 It will probably be one of the tallest hillsides behind one of the properties along Triunfo Canyon. I have no doubt it will include a wonderful expansive view, and if there’s even a little bit of ocean view, then all the better. 1. People interested in developing this concept. If you have been reviewing our numerous websites you have perhaps seen that in Nevada City, California we have a wonderful spiritual center called the Inner Path Yoga and Meditation Center. (See nevadacity.innerpath.org.) The Center includes a yoga studio, meditation room, healing room, lending library, and what’s probably the largest selection of yoga and meditation products in Northern California. It’s open 7 days a week and is a vibrant, active place with classes and events representing a wide range of spiritual teachings. 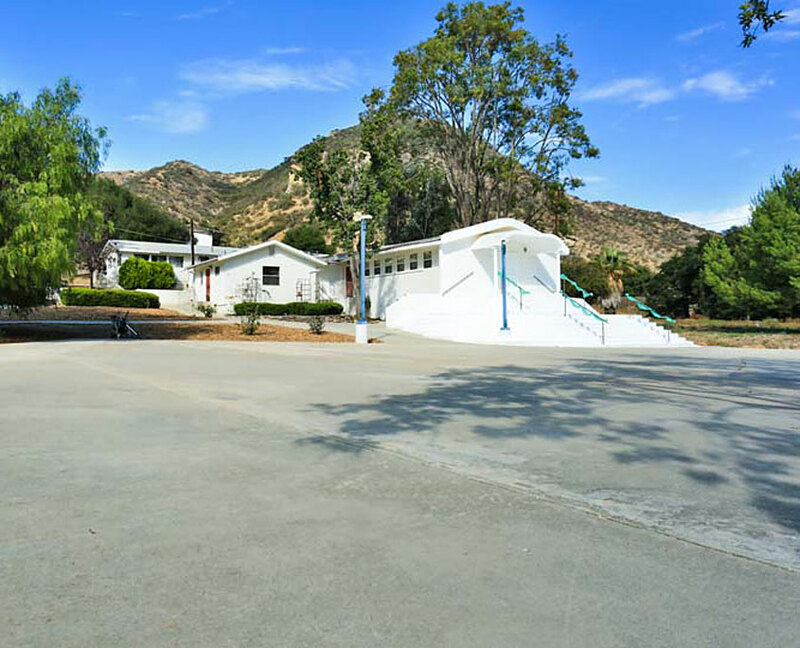 Our goal for Los Angeles is to create a similarly designed spiritual center in Agoura, and as needed, to develop other centers throughout Southern California. 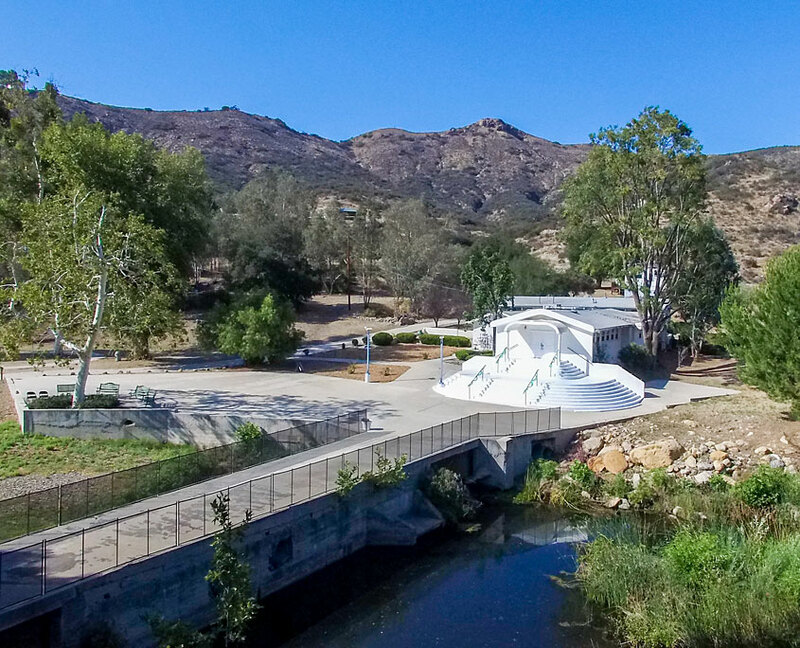 Just like the Nevada City Center, we envision the Agoura Inner Path Yoga and Meditation Center to be open every day and busy with a variety of activities. Among its amenities would include a meditation room dedicated to all faiths, a wonderful yoga studio, an extensive lending library of spiritual and health oriented books, and a large boutique with books, statuary, yoga and meditation products, health products, inspiring photos, devotional instruments and more. Among the planned activities include group meditations, hatha yoga and classical yoga training, classes in a variety of spiritual disciplines, spiritual life counseling, healing services, special events, and lively kirtans. Unlike the Nevada City Center (although perhaps this will happen in Nevada City as well) we also plan to include a Sunday Morning Celebration and a unique One World Choir. 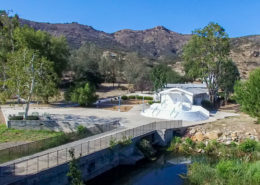 The specific location of where we expect the Agoura Center to be situated offers a unique opportunity to have kirtans and concerts. Consequently we plan to offer kirtans and other musical events quite regularly and to host nationally and internationally known musicians. The One World Choir will invite interested singers to join us in learning uplifting spiritual music from a variety of faiths. It is not meant to be a strictly a Sunday choir but rather one that will share its music in a variety of venues throughout the area. One might expect, as a disciple of Paramhansa Yogananda, that I would want to share Yogananda’s teachings exclusively. My sincere understanding, however, is that my Guru wishes me to share the universal essence of yoga and meditation, and to do so by sharing the teaching of various yogic masters and religious disciplines. In this way we seek to honor the diversity of God’s wondrous plan on Earth, and the unifying beauty of each of our souls. Namaste. As you may recall, in my introductory blog I mentioned the desire to create “a community of yoga.” That is quite different then a simple intentional community where people live together on a piece of property. Rather, it speaks to the entire scope of our life and is meant to support those who practice a yogic lifestyle in both action and thought. In that regard I’ve always been thankful that yoga provides such a dynamic philosophy with simple but important words to help us focus our life on the bigger picture. Words such as “dharma” (the eternal truth), “namaste” (My soul bows to your soul.) and an understanding of the three tendencies in life – “sattvic, rajasic, tamasic” – to help bring awareness of our intentions and attitude, and how we approach the world around us. Just as our inner life is supported by the spiritual values that we live by, our outer life too, needs support. Remember the Yogananda saying that I stated in an earlier writing? “Environment is stronger then will power.” There’s a lot to be said to surrounding ourselves in a spiritual environment. Imagine being able to do that, not only in our church or place of meditation, but in our neighborhood, and where we work and shop, and where our children go to school. Ideally, in every facet of our life. In service to that intention, and as an expression of that community of yoga, Inner Path hopes to support the larger social fabric by providing living and working environments that match the inner life that we seek to nurture. In many ways we’re accomplishing that through the projects that are described throughout this website and that are set to be developed in Agoura. But those projects, as wonderful and helpful as they are, are in some ways only examples of what can be done. The world so desperately needs opportunities for a sattvic and uplifting lifestyle and one not limited to just our meditation room or local church. In this case we are referring to some very practical aspects of our lives, such as our homes, schools, shopping centers, health centers, elder care facilities, places for rest and prayer and, of course, also the products and services that they offer. Inner Path is dedicated to creating that “community.” To help do this, John Ernst, the founder of Inner Path, has created a separate for-profit corporation committed to building enlightened communities through business, financial and real estate services. Entitled Rajarshi Social Enterprises (RSE), its goal is to support the establishment of spiritual communities, sattvic businesses and other endeavors, through self-initiated projects, investments and business services. For more specific information, please see the Rajarshi Social Enterprises website. 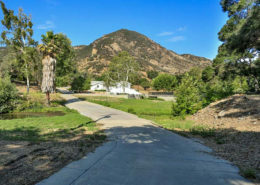 Briefly, here are some of the projects that RSE endeavors to accomplish, both in the Los Angeles area (beginning in Agoura), but also throughout Southern California and anywhere else where there is interest. One World Communities – Apartment and neighborhood communities for those who practice yoga and meditation. Just as you see apartment complexes that specialize in wonderful fitness centers, the One World Communities would support your need for an inner life. Such communities are actually already in existence though few and far between. Our goal would be to make them much more prevalent and open to people of all spiritual backgrounds. Some of the amenities would include a hatha yoga room with daily instruction, a meditation hall, beautiful gardens, and regularly scheduled events such as group meals, classes, special events and group service days. One World Retirement and Hospice Center – A sattvic place for the aged and those nearing transition. Coming to terms with aging and impending death can be a lonely and isolating time, difficult for both the elderly and their loved ones. The purpose of the One World Retirement and Hospice Center is to help maintain an uplifted atmosphere and provide the love, service, and emotional and spiritual support that is of particular importance at the time of transition. Yogananda states that we enter the astral plane with the same level of consciousness in which we depart the physical body. Thus, we can offer a great service to those in transition by helping them to uplift their consciousness and feel comfortable with the transition known as death; to enter it without fear or foreboding, without regret, ready for a new and uplifting life on the astral plane. What a great and wondrous blessing. Education for Life Schools – Private schools that emphasize character and consciousness development as well as academic excellence. We expect that the Education for Life School on Triunfo Canyon Road will be just one of many to be developed in Southern California. RSE itself is not in the education business, but would help with the development of such schools through assistance with property acquisition and business management services as needed. Click here for further information about Education for Life Schools. Whole Life Shopping Center – A shopping center with all the services you need to maintain a sattvic lifestyle. Some of the expected services include a natural foods market, vegetarian restaurants, a natural clothing store, a thrift store, a green living store, a body-mind-spirit book and gift shop, a yoga and meditation center, and an alternative health care center. The shopping center would also have outdoor activities such as a farmers market and special events for children. 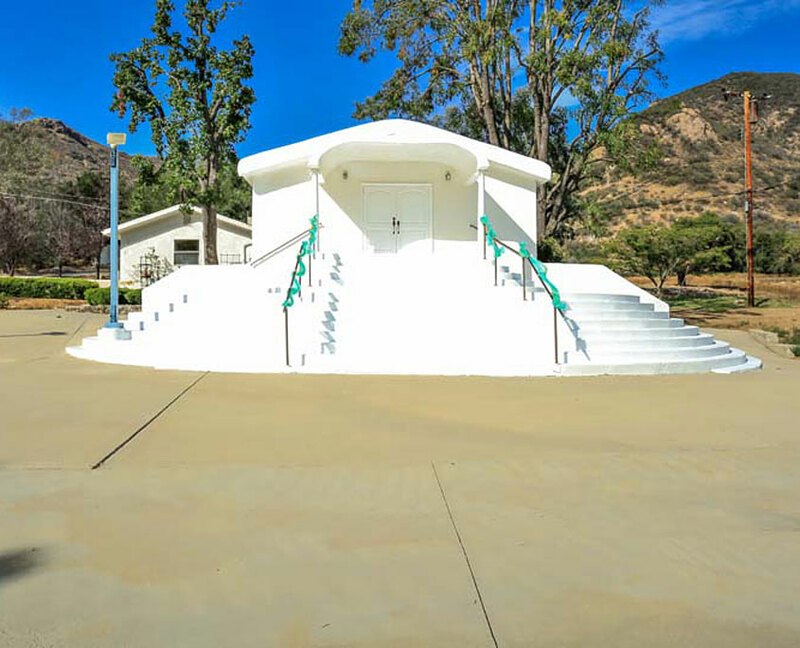 In the case of the proposed Whole Life Shopping Center in Agoura, we expect the yoga and meditation center, and the body-mind-spirit book and gift shop to be the Inner Path Yoga and Meditation Center, and the thrift store to be operated by Seva House. Rajarshi Social Enterprises is seeking new investors and business partners.